I love throwing on a big comfy sweater to dress down my outfits, especially for work. I like that it keeps it classy but you don't feel as dressy as you do without it. Oh my goodness! Isn't looking through baby pictures the best? I saw a mom with her new-ish baby at the UPS store yesterday and I think it gave me baby fever. All the power to you for picking a white comforter. I love white comforters but we have a black dog who loves to snuggle, too! These two looks are both fabulous! I'm really loving the necklace in the dressed up version! I love that pic of Charlie and how nonplussed he looks: "What is this nonsense?" Juan Pablo is skeevy - even for Bachelor standards. I want Chris Harrison to be the next Bachelor, that would be a twist! You have convinced me that I need more button down shirts. I always feel so inspired by your wardrobe. It is so classic...and so pretty! Ooh - I love both these looks! A classic white shirt is the best, and I am on the hunt for a new one. Now I'm even more inspired to find one! And now I want Phish Food! I crave all things chocolate-y after teaching. What is that?! (but then again, I could eat dessert all day every day). Love this! You absolutely cannot beat jeans and a white button down. Now that I think about it, I need to replace mine! Umm I think I say this every week but YOU'RE STUNNING! Seriously, those jeans are perfect, I love that look! That made my heart melt hearing what the boys said about cuddling with you on the new comforter :) they love their momma! I love a good pair of jeans, and those look so cute! I love the first look especially. I'm tempted to buy a pair for myself and hope they will fit in 6 months. so cute! love the comfy sweater and flats! That sweater looks so warm and cozy! I watched the Bachelor last night on the DVR and my gosh, I dislike Juan Pablo more and more with every episode. If he was SO concerned about what Camilla thinks then why would he go on the show in the first place?! sometimes the most simple outfits really look the best!! 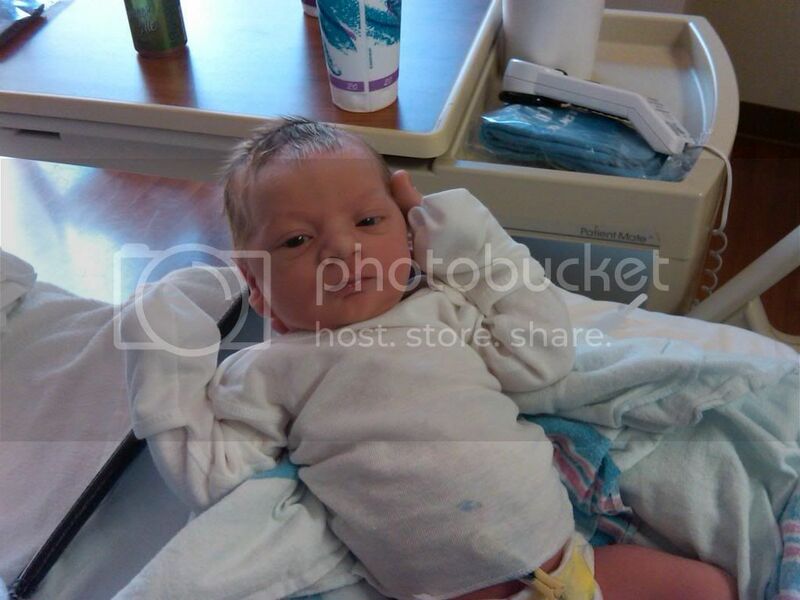 Visiting from the Random Wednesday Link-up! I have also eaten an entire pint of Phish food while watching terrible TV :) I'm loving your dressed down look, that sweater looks so comfy! 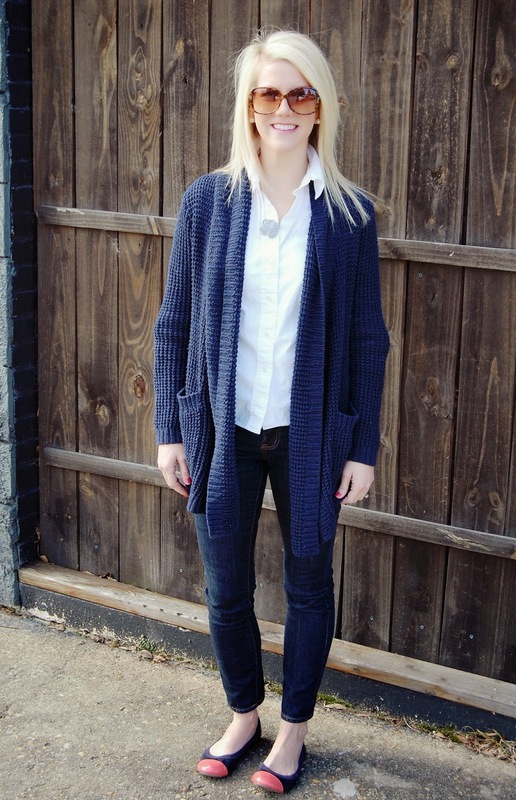 Since I'm a big fan of Old Navy, I love that your entire outfit is pretty much from there! That sweater looks soooo comfy! You are the queen of dress up/dress down!! I want that snuggly cardi so bad. And also, I love Ben & Jerry's... I splurged on it this week because I was sick, but it's 4 pounds for a pint, which is close to seven bucks!! crazy! You know I'm in love with simple pieces that can be styled a million ways and you just rocked both these looks. Love it! Also, you are so great at the whole dress up/dress down thing! I'm sure the white feels so clean! I always love changing the duvet cover at my house. 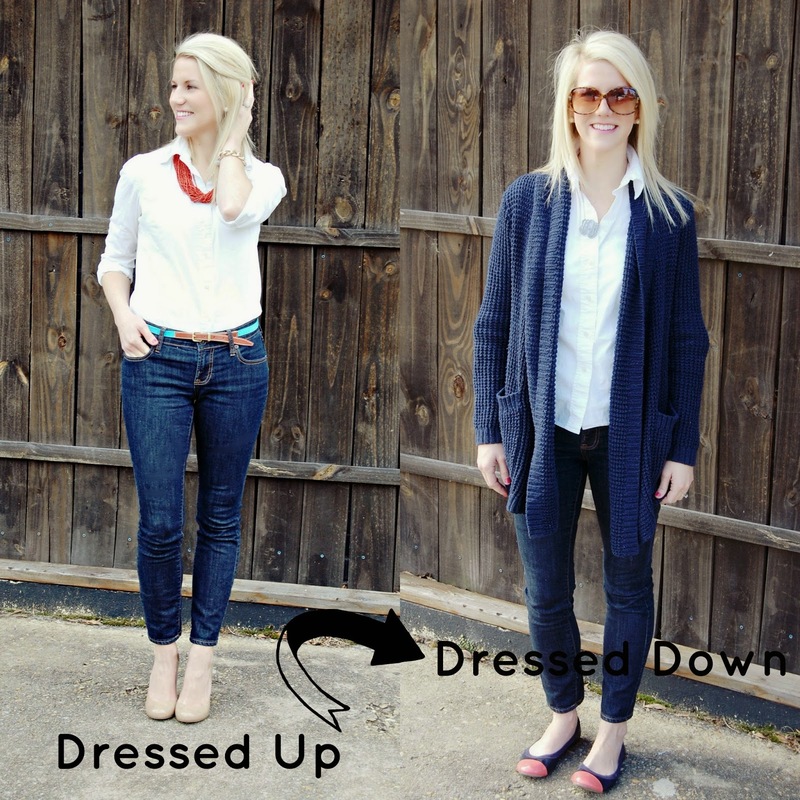 Great swap it up with your jeans. I love those cap-toed flats!! So cute! Your new comforter is so pretty but I would also find the white rather scary. Both are beautiful, I think the dressed UP look is my favorite though! Love it Ashley, you look amazing! I love the casual look! So comfy! You always look so stylish! I love both looks but I am particularly obsessed with the dressed up look because of that necklace! Loving the layered look! Over sized sweaters are kind of a favorite of mine right now! The great thing about white bedding is that if it gets dirty you can just bleach it! Oooh I love the orange necklace and turqoise belt together! I'm pretty sure I'd wear that sweater everyday also. I looks so cozy and comfy! When I danced (ooooh man that kills me to say that :'() I'd get home and be wired also. It was like I got a second wind haha! You look great! I love those two-tone ballet flats! I want that navy cardigan! And those flats! Lovely! ummm phish food is the most mandatory flavor! how can a store not have it! I love our white comforter. Looks so pretty & clean. And there's always a cap full of bleach to make it new again! Those jeans are fabulous on you Ashley! !